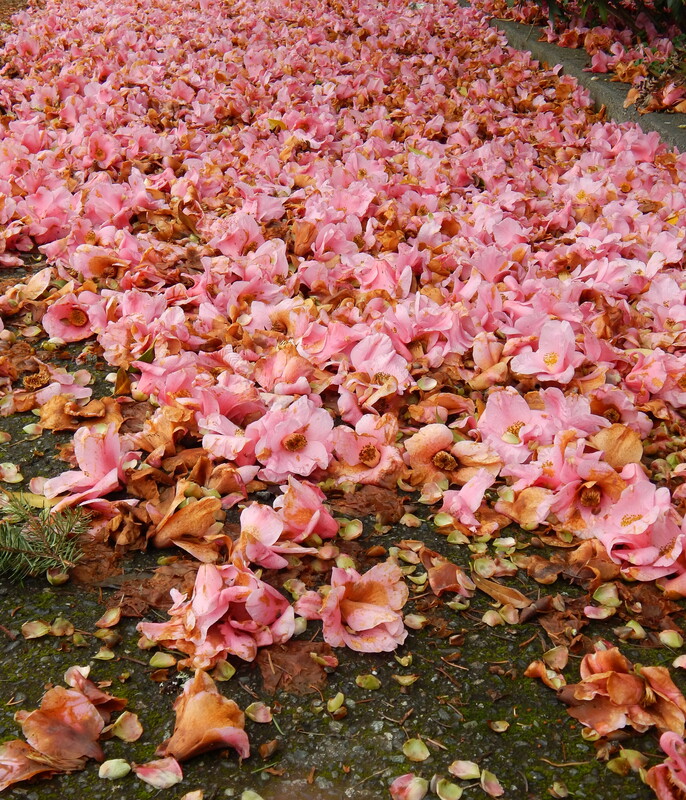 A pink camellia has bloomed long enough to leave a carpet of pink on a driveway. They are a delight to the eye from a distance and up close. This pair stood out from the group showing off their centers and once pink glory. Then I was drawn to one beauty. 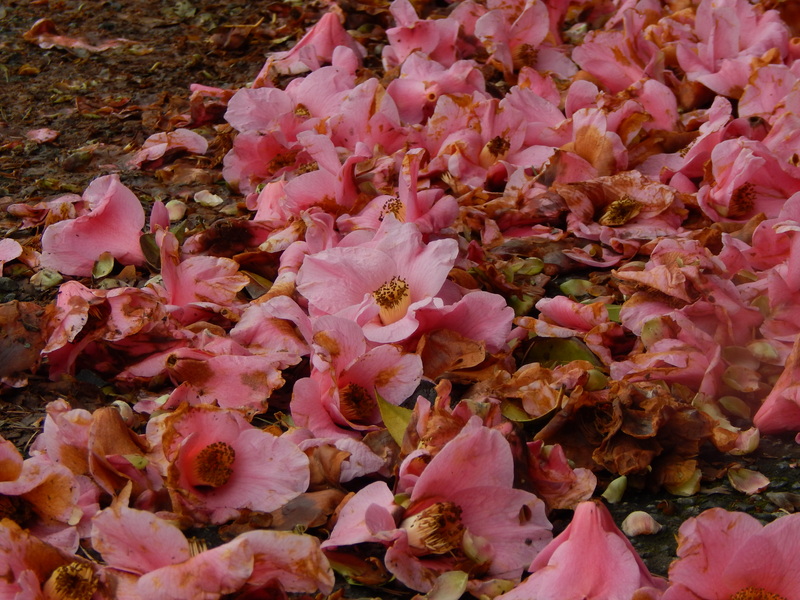 It has a translucent pink that looked to have just fallen. 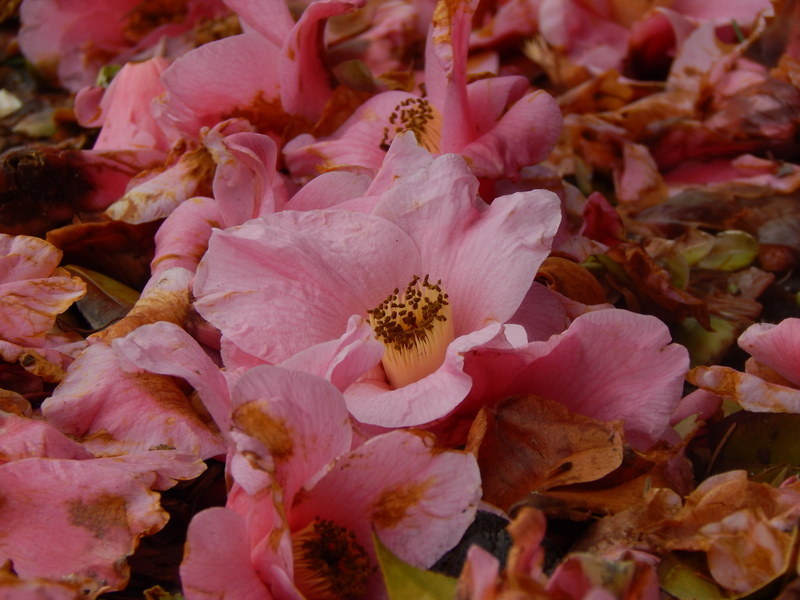 Unblemished amid its browned brothers and sisters. Even close up, she (I have to think of her as a she) has that delicate spring glow. 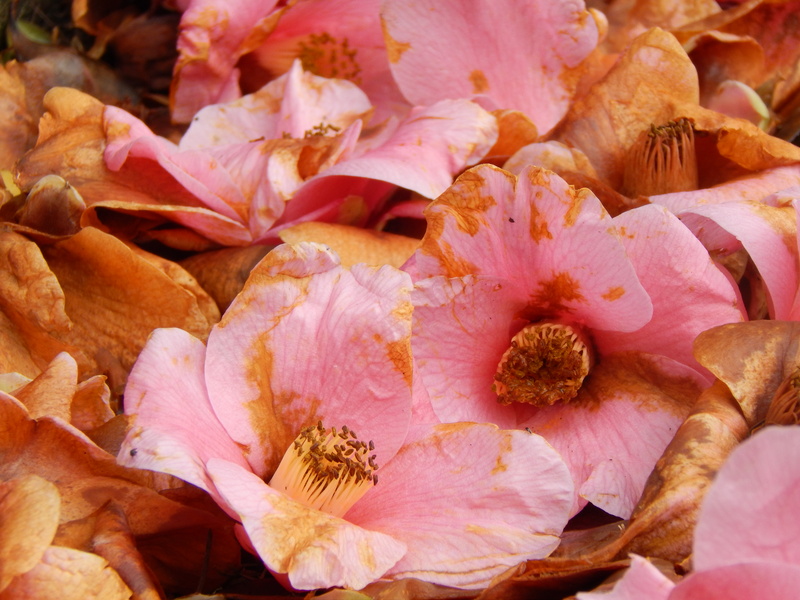 Hope you enjoyed this glimpse of early spring slowing fading away even before winter is over.